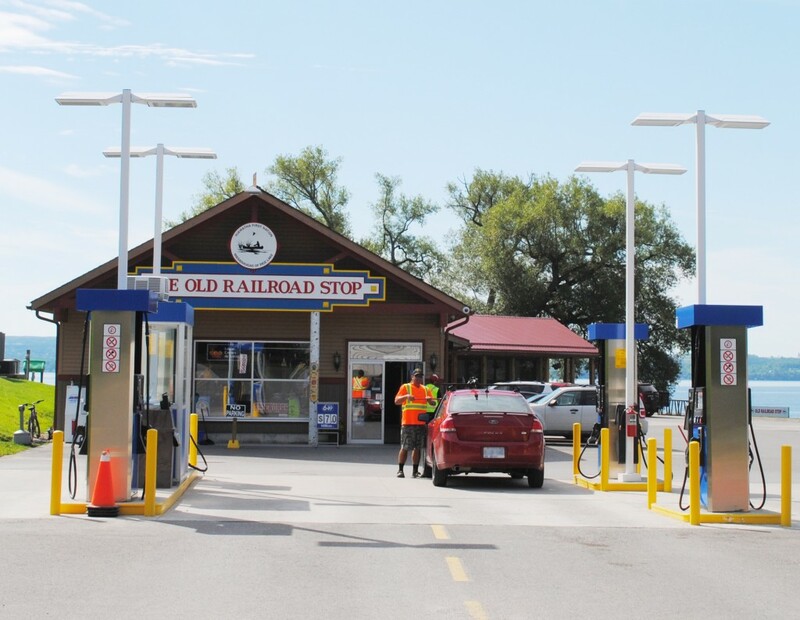 The Old Railroad Stop is a multifaceted business designed to accommodate all of your needs. Located on the North Shore of Rice Lake you can sit and enjoy an ice cream while taking in the beautiful views from the beach or restaurant. The gas bar, convenience store and gift shop are fully stocked to cater to all your needs whether you are just passing through or staying for a while. You will be able to get all you need at the convenience store including cigarettes, lottery tickets and perishables. There is also an ATM located in the store for your convenience and the friendly gas attendants will be happy to help you fill your vehicles tank, wash your windows and help you on your way. Come and visit us at the Old Railroad Stop this year. Hours: 7 am – 9 pm, 7 days a week.